Scott (left) and Kevin Youkilis. Kevin Youkilis walks into a bar. What does he order? Later this summer, the former Red Sox on-base machine will be able to walk into his own joint and pour himself an IPA. 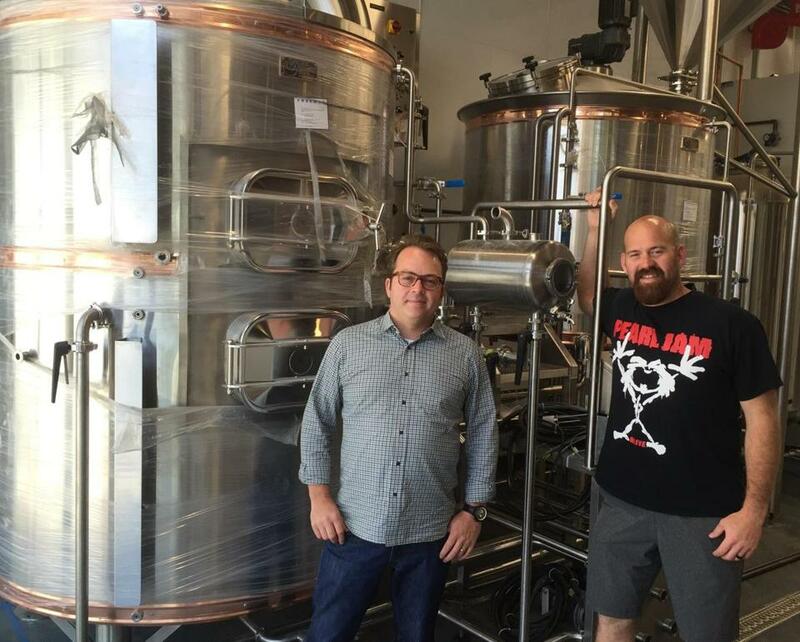 Youkilis is teaming with his brother, Scott, to open Loma Brewing Company near his home in Los Gatos, Calif. The brewpub replaces Los Gatos Brewing Company, which the brothers purchased last year. Scott Youkilis is a familiar face in the Bay Area restaurant scene, a veteran chef who now runs San Francisco’s Hog & Rocks. While Kevin has been a partner in some of Scott’s businesses, this is his first venture as majority owner. The duo has brought in a veteran brewer and chef, but the former baseball player says he’ll be very much involved. Youkilis’s craft beer journey isn’t dissimilar from the average enthusiast’s. He says he got into beer by visiting different breweries as he traveled. He likes IPAs but isn’t fond of sours. In deciding to turn his passion into a business, Youkilis sought advice from several craft beer notables, including Harpoon Brewery cofounder Dan Kenary and Vinnie Cilurzo of Russian River Brewing. The Youkilis brothers kicked around the idea of starting a production brewery before settling on the brewpub model. Loma Brewing will have 14 beers on tap, at least eight of which will be house-made (others will include hard-to-find beers from elsewhere in California). The food is “seasonal American with a twist,” one of Scott’s go-tos. Kevin Youkilis retired from baseball in 2014 after playing 10 Major League seasons, nine with the Red Sox. While excessive beer consumption and ballplayers don’t mix, Youk says he advocates for even the fittest professional athletes to grab a beer once in a while. Gary Dzen can be reached at gary.dzen@globe.com. Follow him on Twitter @GaryDzen.